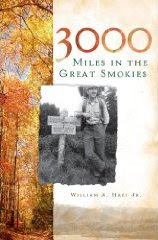 Author Bill Hart has hiked, camped and fished in the Great Smoky Mountains National Park for more than 40 years. In over three thousand miles of walking, he has recorded his experiences and impressions. Whether exploring some of the most remote sections of the Smokies, angling for trout, meeting mountain folk or marveling at the flora and fauna around him, Hart has a gift for heartfelt storytelling and a wealth of knowledge to share about the park. Sanctuary, by Greg Johnson, is a collection of essays on the highlights of hiking the Great Smoky Mountains National Park. 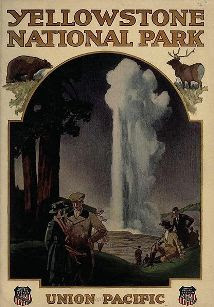 Johnson originally intended to write the book as a guide for hikers, but it ended up being partly as a language for pain as a result of a divorce he went through. He turned to the mountains for healing. Kevin O'Donnell's book, published last month, contains nearly 200 photographs that portray the region's land and people, including views of towns, houses, and farms; families at home and on the job; railroads, mining, and logging; and beautiful streams and mountain landscapes. Waterfalls of North Carolina is the very first map available that features over 300 waterfalls in the western North Carolina region. To create the map, photographer Kevin Adams partnered with Larry Odoski of Outdoor Paths Publishing and two of the best cartographers in the business, Jack Mohr and Pete Kennedy. The four of them devoted more than a year of painstaking work to complete this comprehensive source of information. In addition to the WNC region, the map includes falls on the Tennessee side of the Smokies. Although Black Friday has already ended, Amazon has extended the best deals of the season through Monday to help you get your holiday shopping done for much less. Amazon is offering deep discounts on outdoor gear, electronics, books, video games, toys and more. Beech Mountain's Parks & Recreation Department will host a series of free, guided hikes this winter ranging from 1.6 to 2 miles on the mountain's designated trails. Each hike begins at 9 a.m. Hikers must wear appropriate clothing and footwear. Dogs are not allowed. Beech Mountain, near Boone, North Carolina, has more than 20 miles of trails, including hikes through old growth forest and to waterfalls. For more information, visit www.HikeBeechMountain.com. The Appalachian Trail Conservancy is seeking volunteers to participate in an invasive exotic plant workshop next Saturday, December 5, from 9 a.m. to 5 p.m. along the Appalachian Trail near Erwin, Tenn. The workshop will educate hikers and the general public about the threats of invasive exotic plants and how to identify 15 of the most threatening species in the region. The workshop will also involve removing invasive plants to protect that section of the Appalachian Trail. There's no charge and teachers are eligible to receive credits toward Criteria II or III for the N.C. Environmental Education Certification Program. All necessary equipment will be provided. For more information about what to bring, where to meet for carpooling and to sign up, contact jodell@appalachiantrail.org or call 254-3708. Sadly, I’ve just learned that the Great Smoky Mountains has lost a dear friend. Many of you may have heard about or actually met Ed Wright while hiking to Mt. LeConte. Mr. Wright is famous for being the person to have hiked to the summit of LeConte on 1,310 occasions. Many of those hikes are documented on his website. It appears that his final attempt at reaching the summit occurred on June 20th of this year. He had not been feeling well and made the decision to head back down when he was about two-thirds of the way up the mountain. I never had the privilege of meeting Mr. Wright, but he was the first person to agree to exchange links with my website shortly after launching it last year. I also had a few email exchanges with him, and found him to be an extremely cheerful and helpful person. Sadly, Ed succumbed to complications of congestive heart failure while sleeping on the evening of 11/23/09. He was 84 years old. Plans for services are as yet undetermined. A guestbook has been set up at HeavenCalled.com. Feel free to follow the link and leave your thoughts. 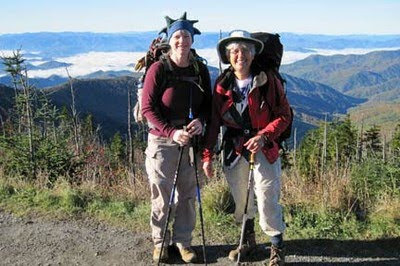 Watch this MtLeconte.com home page for further updates. The latest issue of the Cub Report from the Great Smoky Mountains Association is reporting that Dolly Parton has raised more than $80,000 for the Trails Forever program. The funds are being generated from the proceeds of Parton's latest CD, Sha-Kon-O-Hey. Sha-Kon-O-Hey was released back in February in conjunction with the 75th Anniversary of Great Smoky Mountains National Park. The CD contains 8 new songs written and sung by Dolly. She's donating $8 from each CD sold, which can be purchased through the GSMA. The Trails Forever program is the signature fundraising initiative connected with Great Smoky Mountains National Park’s 75th anniversary celebration. The Trails Forever endowment will fund an additional permanent trail maintenance work crew that will support trail improvement projects along the 800+ miles of hiking trails within the Park. The latest issue of the Cub Report from the Great Smoky Mountains Association is reporting the first documented sighting (and only the second siting ever) of a Le Conte's sparrow inside the Smokies. It was spotted and photographed (photo on right) by Benjamin Zank along the trail from the Sugarlands to Gatlinburg. The only previous sighting in the Smokies was in Cades Cove. The Le Conte's Sparrow is an elusive bird that stays hidden in dense grass, often running along the ground. It's most easily seen and studied when flushed from its hiding spot. It's usually found in open habitat, such as marshy meadows, hayfields, open grassy fields, sedge fields, rice stubble, and prairie. During the winter it prefers grassy areas with vegetation averaging 2 feet high. Although the Le Conte's Sparrow was first discovered in 1790, the first nest wasn't found until nearly 100 years later. No wonder it's rarely seen in the Smokies; it looks like the Smoky Mountains is just outside of its normal migration route. There seems to be some controversy over whom the bird is named after. John James Audubon named the bird after his friend, Doctor Le Conte. It's generally believed that he meant John Lawrence Le Conte, although some feel that he was referring to another John Le Conte, also a doctor, and John Lawrence's cousin. If Audubon intended to name the bird after his cousin, then it's possible that the bird is named after the same person for whom Mt. LeConte is named after. However, this apparently isn't settled either. Most people, including the USGS, assume that Joseph LeConte, the famous geologist and charter member of the Sierra Club, is the man for whom Mt. LeConte was named. However, that claim has been challenged in recent years. The authors of A Natural History of Mount Le Conte, and the Georgia Encyclopedia, both claim the name honors Joseph's older brother, John, who was famous as a scientist and as president of the University of California, at Berkeley. The confusion, obvioulsly, comes from too many famous people named Le Conte with scientific and naturalist backgrounds and who lived during the same time period. Black Friday is just days away…..so if by chance you’re looking for hiking gear or Smoky Mountains related books this Christmas and holiday season, I would really appreciate your support by shopping from our Amazon store at HikingintheSmokys.com. Even if you don’t find anything in our store, you can still help support our website by using the search function on the store page, which will take you to Amazon’s entire catalog of books, electronics, toys, clothing, etc. This helps keep the most comprehensive source of hiking information in the Great Smoky Mountains a free resource to everyone! You can visit our store by clicking here. Also, Amazon is offering Black Fridays Deals everyday this week. You can find more information on all the specials they’re running this week by clicking here. The Gilpin Lake / Gold Creek Lake Loop in the Mount Zirkel Wilderness Area is an extremely popular hike; and for good reason. My wife, brother and I tackled this hike while on vacation in August of 2008. The Mount Zirkel Wilderness is located in north-central Colorado near the town of Steamboat Springs, and lies within the Routt National Forest. With the passing of the Wilderness Act in 1964, Mt. Zirkel was among the first designated wilderness areas in the country. From the Slavonia Trailhead, about a 30 minute drive from Steamboat Springs, we started down the Gilpin Lake Trail (trail 1161) before reaching the Gold Creek Lake Trail junction less than a quarter-mile into the hike. For this loop, I would recommend taking the Gold Creek Lake Trail (trail 1150) first. Throughout the early portions of our hike we noticed some of the devastation from the freak windstorm that struck the area in 1997. Known as the Routt Divide Blowdown, winds in excess of 120 miles per hour were recorded during the height of the early winter storm. The devastating force of the storm brought down more than four million trees within a swathe of land 5 miles wide and 30 miles long. The Routt Divide Blowdown is the largest blowdown ever recorded in the Rocky Mountains. At roughly 2.8 miles from the trailhead we reached Gold Creek Lake, an 8 acre lake surrounded by fir and lodgepole pine. The trail skirts around the western and northern side of the lake, offering several different vantage points. Hikers should note that the lake is a very popular destination. The next major destination on the loop is a huge meadow below Ute Pass. This glacially carved valley is an outstanding place to relax or do a little exploring. Looking towards the east, the prominent backdrop to the valley is Flattop Mountain, Ute Pass and the Continental Divide. Beyond the meadow you’ll reach another fork in the trail where you’ll be turning left onto the Gilpin Lake Trail. From here the trail climbs up to the top of Gilpin Ridge. At the top of pass you’ll have your first views of Gilpin Lake. The view of the deep blue, alpine lake is stunning and dramatic – one of the best in the Rockies. You’ll also have your first views of Mt. Zirkel and Big Agnes Mountain. At 12,180 feet, Mount Zirkel is the highest peak in the wilderness area, and is one of 15 peaks over 12,000 feet in elevation. From here the trail descends rapidly towards the lake. Through this section and just below the lake we saw a variety of wildflowers. Although the lake looks like a blue sapphire from 450 feet above, it’s actually crystal clear when viewed from the shoreline. After passing Gilpin Lake, the trail generally follows Gilpin Creek for most of the way back to the trailhead. After passing a few more wildflower-filled meadows, the path descends back below tree-line before eventually passing through a beautiful grove of aspens. After a long day on the trail we made a beeline to the Old Town Pub for some wings and beer. With a mixture of western flavor and yuppie ski resort status, Steamboat Springs seems to be a nice enough town. The town does have a bit of pretentiousness about it, but not nearly as bad as other Colorado ski towns such as Vail, Breckinridge or Aspen. Filthy Rich Cattle Drive, the CMT reality series you may recall from a couple of years back, was filmed in and around the town. I'm definitely planning to return to hike the Gilpin Lake Loop again, as well as some of the other trails in the wilderness area. With close to 170 miles of trails in Mt. Zirkel, there’s still a lot of exploring to do. 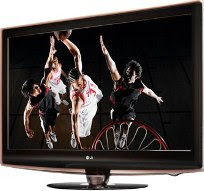 Amazon.com is offering customers a chance to win a Large 55-inch LCD HDTV and a Blu-ray Disc Home Theater, plus other goodies like a Nintendo Wii as well as the Beatles Rock Band for Wii. The approximate retail value of the Grand Prize is $3400. The prize package is part of the 10th anniversary of the Amazon Wish List sweepstakes. Each week during the holiday season customers will have a chance to enter one of the themed Wish List sweepstakes. To be automatically entered into the Sweepstakes, click here to create a Wish List, add an item to one of your existing Wish Lists, or share one of your Wish Lists via the "Share with Friends" feature on the Wish List page (your Wish List must be public to share it), and then follow the instructions on the website to enter the Sweepstakes. NO PURCHASE NECESSARY. To enter the sweepstakes for the High-Def Heaven prize, you must enter before November 29. For more information, and to enter the sweepstakes, please click here. Why wait until Friday? Black Friday Deals start today at Amazon! Kathy and I made our first trip to Glacier National Park just as the region was beginning to sink into the grips of a long drought. Late summer also happens to be the peak fire season for the park in northwestern Montana. About midway through our vacation a couple of fires began to pop-up in and around the park, including one less than 10 miles outside of East Glacier, the town where we were staying. At one point the fire got so big that they parked a train - loaded with foam - just outside of town. This was to be our protection in case the wind changed direction. Six years later, in 2004, we decided to return and explore more of the park. By this time the region was now in a severe, multi-year drought. So as we made plans for another late summer trip, forest fires were an obvious concern. Part of our plans for this vacation was to spend a night at the historic Sperry Chalet. Similar to the LeConte Lodge in the Smokies, the only way to reach the backcountry chalet is by hiking-in via the Sperry Trail. The trail, located near Lake McDonald on the west side of the park, is a 6.7 mile hike that climbs 3300 feet before reaching the chalet. As fate or irony would have it, Glacier was getting a soaking rain the day we arrived. The next day it was still raining as we hiked up to Sperry. It proceeded to rain all night, and then it rained all the way back down to the trailhead the following day. We were fortunate enough to have – literally – a five minute window that evening where the clouds parted long enough for us to see Lake McDonald and the valley below us. When we arrived a few of the guests were already huddled around the wood-burning stove in the dining hall area. As time passed, more overnight guests, campers and day hikers came in to warm themselves and to dry-off soaked bodies, clothes and boots. With limited space around the stove, people had to jockey for position to get close enough to feel the warmth from the fire. At some point in the late afternoon, guests were asked to leave the dining hall so that chalet cooks could prepare for the evening meal. When we returned a couple hours later we were served a tasty feast of turkey, which included all the trimmings, as well as dessert. Maybe it was partially due to spending an entire day in nasty weather, but the food was quite delicious. Although Sperry Chalet has a beautiful native-stone exterior, the interior is just as rustic as the cabins on LeConte. With paper-thin interior walls, you can literally hear people turning over in their beds two doors down! The extreme sag in our bed left us to conclude that it was probably as old as the building, which was built in 1913. All in all though, it was still a great experience. We met a lot of great people as well as a few interesting characters. Highline Trail: If you’re afraid of steep drop-offs, this trail probably isn’t something you want to attempt. In fact, Kathy swears she’ll never do it again. However, if you crave spectacular alpine scenery, don’t pass this gem up. The trail is famous for the section, maybe a half-mile long, where hikers walk along a ledge on what’s known as the “Garden Wall”. The path is roughly 5 feet wide, with a cliff face on one side and a sharp drop-off on the other. Although the trail continues all the way to Swift Current Pass and the Granite Park Chalet, we only hiked out about 3 miles. It was far enough to take-in some of the stunning scenery beyond the ledge. Grinnell Glacier: Besides the opportunity to walk on a huge glacier, one of the unique things about this trail is that you can take a series of boat taxis to reach your destination. Hikers have the option of walking the entire 6-mile trail or taking two boat shuttles that cut-off more than two miles of walking. From Many Glacier, our ranger led hiking group took the shuttle across Swift Current Lake, made a short hike over to Lake Josephine, and then took another boat taxi before making the climb up to the glacier (Note: you may no longer be able to walk on the glacier as a result of shrinkage since we last hiked it in 1998). Trail data: 7.6 miles roundtrip; climbs 1600 feet. Scenic Point: This is a relatively short, but steep hike leading to spectacular views of Two Medicine Lake. As we ascended the canyon, the ranger leading our hike relayed the story of how a friend of his, a park concessions employee, was killed in this area by a grizzly sow and her cubs in 1998. It’s precisely due to the large number grizzlies in this park that most of our hikes were ranger led so as to avoid being out on the trail by ourselves. There are many ranger led hikes throughout the summer. And yes, we saw several grizzly and black bears on both of our trips. Trail data: 6.2 miles roundtrip; climbs 2350 feet. Iceberg Lake: A very popular hike to a beautiful alpine lake hemmed-in by sheer cliff walls. Even in late August we saw icebergs floating in the lake. As we were soaking-in the magnificent scenery, one fairly large iceberg calved and rolled over, triggering a nice sized wave to ripple across the lake. Trail data: 9.4 miles roundtrip; climbs 1200 feet. Dawson Pass: This was another hike that offered an opportunity to take a shuttle boat to cut-out about two miles to our destination. After crossing Two Medicine Lake, the trail leads to the Continental Divide at Dawson Pass and offers stunning views of the Lewis Range, including Lupfer Glacier directly across the valley. The hike also includes Twin Falls. On our return trip back to the trailhead we found a large patch of huckleberries that we gorged on for some time. Trail data: 10.4 miles roundtrip; climbs 2450 feet. Cobalt Lake: This is a moderate day hike to a deep blue-green lake sitting at the base of Two Medicine Pass. Before reaching Cobalt Lake, roughly 3.4 from the trailhead, the trail passes Rockwell Falls, a series of cascades that extend for almost a half mile up the valley. The falls are also a popular final destination for many hikers. Trail data: 11.4 miles roundtrip; climbs 1400 feet. 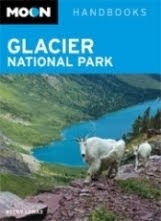 With over 700 miles of trails, Glacier National Park is without a doubt a hiker’s park. Besides numerous hiking opportunities, one of the other things we really liked about Glacier is the fact that it’s not commercialized. In the handful of towns that surround the park, there are no national restaurants or hotel chains. Most of the businesses are small mom & pop establishments, which probably explains why the food was so good in most of the places we visited. Serrano’s in East Glacier is a must stop. They have the absolute best Mexican food we’ve ever tasted, and that’s compared to foodie meccas such as Austin, Texas and Santa Fe, New Mexico. If you do stop at Serrano’s, make sure you get a slice (or two) of their huckleberry pie. It’s out of this world good! While you’re in the Glacier area don’t forget to try a huckleberry shake, huckleberry ice cream, huckleberry beer, huckleberry chocolate, syrup, jams, etc., etc. There are plenty of opportunities to find wild huckleberries along many of the trails as well. The Division of Resource and Visitor Protection at Great Smoky Mountains National Park is seeking to fill multiple GS-9 protection ranger positions. Rangers are provided with the full spectrum of law enforcement and resource protection activities. With 10 front country campgrounds recording more than 350,000 camper nights annually, 11 picnic areas and a major highway corridor from Gatlinburg to Cherokee, rangers work extensive traffic law enforcement incidents, DUI’s and motor vehicle accidents. Incidents are consistently managed using the incident command system. The park contains over half a million acres and has 800+ miles of trail including 70 miles of the Appalachian Trail. Rangers provide resource protection to over 1,500 black bears and a reintroduced elk population. Resource protection patrols focus on threats to poaching of plants and animals and there is an active ginseng marking program which runs annually from May through September. The division has a dynamic emergency services program which includes park medics and National Registry EMTs. Rangers are trained in technical rescue, search operations and wildland fire. Being a ranger at Great Smoky Mountains is a challenging and rewarding experience. Career development and training opportunities include the field training ranger program (FTR), SETT team assignments, incident management and annual NLTA and TASER training. There are 10 positions available at this time. Applications for all positions must be received by November 25. For more information, please click here, or contact Tennessee district ranger Steve Kloster at 865-436-1268 or Cades Cove area supervisor Steve Spanyer at 865-448-4105. Earlier this fall, PBS aired Ken Burns' excellent documentary film, The National Parks: America's Best Idea. Hopefully all of you got a chance to watch it. The documentary is the story of an idea as uniquely American as the Declaration of Independence and just as radical: that the most special places in the nation should be preserved, not for royalty or the rich, but for everyone. It was filmed over the course of more than six years at some of the most spectacular locales, including Acadia, Yosemite, Yellowstone, the Grand Canyon as well as Great Smoky Mountains National Park. If you missed the film, or if would like to have your own copy of the DVD to watch at any time, Amazon is now offering both the DVD and the companion book at some pretty deep discounts. The DVD Box Set contains six discs with a total of 720 minutes of run time. Amazon is selling the DVD set for just $79.99. That's a 20% mark-off from the original price of $99.99. This item also ships for FREE with Super Saver Shipping. Please click here for more product information. The National Parks film companion book, at 432 pages, goes into much more depth about the creation of the national park system. Additionally, you'll find hundreds of stunning photos (historic and contemporary) of the people and landscapes from our national parks. Amazon is selling the companion book for only $29.25. That's a 42% discount off the original price of $50.00. This item also ships for FREE with Super Saver Shipping. Please click here for more information about the book. On Tuesday, December 1, Clingmans Dome Road will be closed for the winter. This will impact access to several trailheads along the road, including; the Spruce-Fir, Road Prong, Sugarland Mountain, Fork Ridge, Noland Divide, Forney Creek, and Forney Ridge (Andrews Bald) trails. The last road to shut-down for the season will be the Little Greenbrier Road, which will be closed on January 1, and will impact the Little Brier Gap Trail. Due to repaving projects on Clingmans Dome Road and Roaring Fork Road, the normal spring reopening dates (mid to late March) will not be valid. Clingmans Dome Road is scheduled to be closed through May 28, then intermittently opened until June 18. The Roaring Fork Motor Trail near Gatlinburg will be closed until May 28, while the two-way portion of the connected Cherokee Orchard Road will be managed as a single lane during that time. With Christmas and the Holiday Season rapidly approaching, I just wanted to remind everyone that the Smoky Mountain Hiking Store is open for business! In addition to hiking gear and apparel from some of the best outdoor brands, we also have a large selection of books related to hiking, the Great Smoky Mountains and the surrounding region. 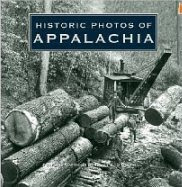 Some new titles you may be interested in include; 3000 Miles in the Great Smokies, Historic Photos of Appalachia, Sanctuary: Meditations from the Great Smoky Mountains, and Waterfalls of North Carolina, a comprehensive map that features over 300 waterfalls in the western North Carolina region. A North Carolina man is facing charges for allegedly shooting an elk inside Great Smoky Mountains National Park. Last Friday rangers in the Smokies found a bull elk carcass lying along the edge of a pasture in the Cataloochee area. A lead on a vehicle led investigators to Granville County, North Carolina. A NPS Special Agent traveled to the county and located the suspect at his home. The individual has reportedly confessed to poaching the elk, according to Park spokesman, Bob Miller. The suspect's name isn't being released, pending the filing of charges. Poaching in a national park carries a penalty of up to six months in jail and a fine of up to $5,000. Violators can also be forced to forfeit the weapon and vehicle used in the crime. The elk, known as bull No. 21, is one of the herd's biggest breeding bulls. I'm having a hard time understanding why this guy did this. Did he just shoot the elk from his car for the sport of it - with people around him? Was he threatened or charged by the elk? Grassy Ridge, along the eastern flank of Roan Mountain, is the longest stretch of grassy bald in the Appalachian Mountains, and is an easy hiking destination starting from Carvers Gap. Because of the massive size of Roan Mountain, let me explain a little bit about the geography of the area. First off, the Roan Highlands, traversed by the Appalachian Trail, is separate from Roan Mountain State Park, which is located roughly 8 miles north of Carvers Gap. Roan Mountain comprises the greater part of the Roan Highlands, a 20-mile massif stretching from Big Rock Creek in the west to U.S. Route 19 in the east. Most of the massif lies along the Tennessee-North Carolina border. Roan Mountain itself contains five mountain peaks, and is divided into two sections by Carvers Gap. To the west of the Gap are Roan High Bluff and Roan High Knob, with Tollhouse Gap and Rhododendron Gardens lying between the two peaks. To the east of Carvers Gap is the section of Roan Mountain known as Grassy Ridge, which includes three peaks: Round Bald, Jane Bald, and Grassy Ridge Bald. The bald area, spanning roughly 7 miles and covering an area roughly equal to 1000 acres, includes the summits of all three peaks. Before hiking out to Grassy Ridge Bald, we drove the paved road to Rhododendron Gardens, the largest natural rhododendron garden in the world. We were fortunate to visit in June as the blooms were peaking. This same road ultimately leads to a short 1.2-mile trail that takes you to an observation platform just below the summit of Roan High Bluff. Near the Rhododendron Gardens is the site of the former Cloudland Hotel. Built in 1885, the luxurious inn boasted a guest list that included American politicians and European royalty. The hotel, however, was abandoned by 1910 and quickly fell into disrepair. After visiting the gardens we drove back down to Carvers Gap and, given the time of year and the nice weather that day, we were fortunate enough to find a parking spot. Our hike began with a series of wooden steps that led us to the summit of Round Bald. Due to the awesome views and the short distance (roughly 0.7 miles), the summit can be quite crowded at times. The farther you walk, however, the less crowded it becomes. Continuing northbound along the Appalachian Trail for another 0.7 miles (technically walking eastward) we reached our next destination, Jane Bald. In between Round and Jane we lost and regained about 200 feet before reaching the 5807-foot summit of Jane Bald. Partially overgrown by rhododendron, the bald area atop Jane is much smaller than its two neighbors. Local legend has it that the peak received its name after a woman named "Jane" died of milk sickness while crossing the mountain (milk sickness is poisoning by milk from cows that have eaten white snakeroot). Coming off Jane Bald we descended about 100 feet before beginning the final climb of almost 500 feet to the summit of Grassy Ridge Bald. At roughly 1.9 miles the Appalachian Trail takes a turn towards the left. At this junction you’ll see a side trail that continues straight ahead. This will take you to the summit of Grassy Ridge Bald. After a relatively stiff climb we reached the huge grassy meadows atop the peak. The panoramic views from the summit area are absolutely stunning. Although it was somewhat hazy on the day of our hike, on a clear day you can see Grandfather, Beech and Sugar Mountains towards the east, and Mt. Mitchell and the Black Mountains towards the south. Grassy Ridge Bald dominates the center of Grassy Ridge. At an elevation of 6189 feet, it’s one of the highest grassy balds in the Appalachian Mountains. Scattered throughout the meadows on the summit, as well as along most of the trail, you’ll find beautiful specimens of rhododendron and flame azaleas. We also saw many wild flowers along the route, but didn’t get a chance to see the rare Gray's Lily that are indigenous to the area. Many people say that this stretch of trail is the most beautiful section along the entire length of the Appalachian Trail. I can’t speak for the trail north of Virginia, but I would certainly rate this as one of the best hikes in the Southern Appalachians. Carvers Gap is located on State Route TN-143 and NC-261, which connects the towns of Roan Mountain, Tennessee and Bakersville, North Carolina. For additional information about hiking the Chimney Tops Trail, please click here. Invasive Species: The Biggest Threat to Biodiversity? Discover Life in America is inviting supporters and admirers of Great Smoky Mountain National Park to join them on December 9-12 for the annual All Taxa Biodiversity Inventory (ATBI) conference titled, "Invasive Species: The Biggest Threat to Biodiversity?" DLIA will be holding the 2009 ATBI Conference this year in Gatlinburg, Tennessee at the Riverside Terrace Resort and Conference Center. * Workshops that include: GPS use session, Schoolyard ATBI, Grant writing, Lost proofing, Waterbears, How to write a NSF grant, Citizen Science, "Getting everyone Involved," and much, much more! * The conference culminating event is "The Great Smoky Mountains Salamander Ball" at Ripley's Aquarium of the Smokies! The All Taxa Biodiversity Inventory is a unique ecological undertaking to find and document every species of life in Great Smoky Mountains National Park, from ferns and fungi to birds and beetles. The effort began in 1998 and is serving as a model for efforts to document the diversity of life throughout the nation, at other National Parks, State Parks, and in other preserves, large and small. To date over 900 species have been identified that are new to science and over 6,400 species have been identified that are new records for the Smokies! For a more detailed schedule; registration forms; or to volunteer, please click here. Questions and/or to register for the conference, please contact Heather MacCulloch at 865-430-4756 or e-mail at heather@dlia.org. Labels: 2009 ATBI Conference, All Taxa Biodiversity Inventory, atbi, Discover Life in America, DLIA, Invasive Species: The Biggest Threat to Biodiversity? Outside Magazine has an interesting little quiz on their website. The Outside Survival Quiz is designed to test your ability to survive in a number of situations - most of them in the wilderness. I found several of the questions to be very challenging - obviously - I only got 7 out of 14 right! To take the short quiz, please click here. > Today and tomorrow are your final opportunities for a chance to win a Yellowstone Photo Expedition. Please click here for more details. Night owls and early morning risers should circle November 17 on their calendars. 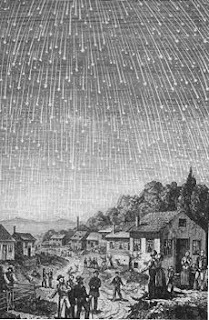 Early that morning a moderate to possibly very strong showing of the annual Leonid meteor shower is likely to happen - weather permitting. Although the strongest displays will occur over Asia, a more modest, but still potentially enjoyable display of a few dozen Leonid meteors per hour is expected for North America. Observers in the eastern United States and Canada will be particularly well-positioned for maximum activity, expected sometime between 3:30 and 5:30 a.m. EST, when the radiant of the Leonid shower will be well up in the dark southeastern sky. Additionally, there won't be any interference from the moon this year, making it easier to catch the fainter meteor streaks. The Leonid meteors are thought to be the dusty legacy of Comet Tempel-Tuttle. As the Earth encounters the debris left behind by the comet's previous passes through our orbit, these tiny fragments of the comet – typically no bigger than a sand grain or the occasional pea – impact our atmosphere at speeds of up to 45 miles per second, causing them to blaze briefly but brightly in the night sky. Although peak viewing is expected during the predawn hours of Nov. 17, early-morning hours on the dates surrounding Nov. 17 could provide a decent showing as well. 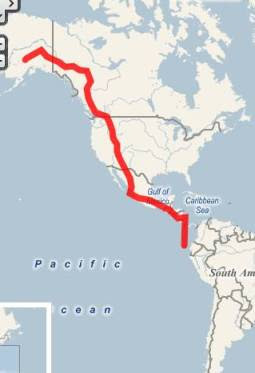 Earlier in the year I wrote a blog about a Scottish cyclist who had just embarked on a trek to ride a bicycle from Alaska to the southern tip of South America. In late May, Mark Beaumont began his epic journey to cycle from Anchorage, Alaska to Ushuaia in Southern Argentina. Before leaving Alaska, he took three weeks off his bike to climb Denali (Mount McKinley), reaching the summit on June 16th. He also plans to climb Aconcagua while in Argentina. The two mountains are the highest peaks in North and South America. Earlier this week Mark reached Panama where he boarded a Russian cargo ship that took him through the Panama Canal and onto Ecuador (there is no road joining Panama in Central America to South America). In all, Beaumont will be covering more than 15,000 miles as he traverses the Trans-American Highway. His entire adventure is being filmed by the BBC for an upcoming television show. He hopes to finish his trek by February of next year. Mark usually posts once every other day. His Cycling the Americas blog includes lots of great stories and photos. This past weekend I had a chance to take a recently published book out on test run at one of our local parks. The book is intended to help amateurs like me properly identify trees. What Tree Is That? is a new book published by the Arbor Day Foundation, the nonprofit organization dedicated to tree conservation, care, and education. This pocket-sized reference book is a user-friendly, step-by-step guide to the more common trees in North America. The 164-page book features full-color botanical illustrations and a durable, water-resistant cover, and helps readers recognize more than 250 varieties based on leaf margins, textures, pods, nuts, and the arrangement of leaves on twigs. The book uses a series of questions and “Go To” directions to lead you to the proper identification of a tree – a “decision tree,” so to speak (sorry, couldn’t avoid that one). Using the step-by-step process I was able to properly identify several trees that still had leaves on them. One very cool aspect about What Tree Is That? is that it fully embraces modern technology. It includes a variety of online resources that you can link to, including an online edition of the book that allows you to click through the steps of identification, with leaf in hand, to discover the correct tree species. A "Tree ID Tutorial" introduces beginners to identification skills using detailed animation, and a podcast describes more about the book and the organization. The Arbor Day website also offers a free What Tree Is That? mobile identification guide for smart phones. Since the book uses leaves (and needles) to lead you down the correct identification path, you obviously won’t be able to use the book to identify deciduous trees during the winter months. Although the book contains a handy glossary on the inside flap of the front cover, which includes explanatory sketches, I do have one comment/suggestion for the authors with this respect. As a complete amateur on trees, I definitely would’ve benefitted with a few more sketches that provide a visual on a few more of the terms used in the book. Having said all that, What Tree Is That? makes for a great hiking companion and educational tool. Labels: Arbor Day Foundation, tree identification, What Tree Is That? A couple of bloggers long-time readers of this blog will probably be familiar with have decided to tackle the Mountains-to-Sea Trail. Beginning in late October, Sharon (a.k.a., Smoky Scout), and author, Danny Bernstein began section hiking the entire MST. The two plan to complete trail, which crosses the state of North Carolina, over the course of the next two years. The Mountains-to-Sea Trail stretches 1,000 miles from Clingmans Dome in the Great Smoky Mountains to Jockey’s Ridge on the Outer Banks. You can follow along as they make their journey across the state. Both Danny and Smoky Scout will be blogging about their triumphs, trials and tribulations over the next two years. Don't forget to enter your chance to win a Yellowstone Photo Expedition. You must enter before November 15. Click here for more details. During the late summer of 2001, Kathy and I spent our vacation in Yellowstone National Park. One of our prime hiking destinations for the week was a climb up 10,566-foot Avalanche Peak, located about eight miles from the park’s east entrance. We put this hike at the top of our itinerary because it’s one of the higher peaks in Yellowstone, and it didn’t require any technical skills to reach the summit. Instead of the pleasant weather we had experienced over the previous few days, we were greeted by dark threatening skies the morning of this particular hike. We decided it might be a good idea to stop at the Fishing Bridge Visitor Center to get an updated weather forecast before setting off. The ranger at the visitor center, although friendly and very helpful, dampened our spirits even more. Not only was there a good chance of rain for the day, but she also warned us about the high level of grizzly bear activity in the Avalanche Peak area. Indigenous to this part of the park are whitebark pine trees, which, in late summer, produce seeds that are rich in fat. The seeds are one of the preferred foods for grizzlies as they fatten-up for the winter, thus attracting them to this area during the late summer and fall. At this point we were a bit leery about our prospects for hiking this trail. Maybe we sound like a couple of “Chicken Little’s”, but being from the Midwest we’re not really accustomed to hiking in areas where we’re second on the food chain. Hiking in black bear country doesn’t bother me, but grizzlies definitely make me nervous. Despite our limited experience in grizzly country, we were aware that hiking in numbers tends to increase the safety factor. We decided to drive up to the trailhead to see how many cars were in the parking lot. If it looked like we were going to be the only hikers on the trail that day, we decided we would look for another trail elsewhere in the park. We were relieved to see several cars in the parking lot at Eleanor Lake. However, as we began packing our lunch and gear, it started to drizzle. The drizzle quickly turned into a downpour. For nearly a half-hour we waited in our car until the clouds finally started to break. Just as the rain was ending, another couple pulled into the lot next to us. We thought this to be a good omen. With the additional company on the trail, we felt a little more at ease about hiking in grizzly country. We set off with our new friends in a light misty drizzle. Our companions, we found out, were a couple of summer park employees working in the Mammoth Hot Springs area. What a great way to spend your leisure time while working in one of the most beautiful places on Earth. Almost immediately the trail begins ascending the mountain, climbing through a dense, lush-green forest of spruce and fir trees. Even though the trail isn’t marked on the official park map, it appeared to be well maintained and was clearly visible along the entire route. As the trail steepened, the pace of our companions started to slow, so Kathy and I moved on without them. By this time it was becoming increasingly apparent that the hike up Avalanche Peak isn’t for the faint of heart. The trail gains 2100 feet in just 2.5 miles, which translates into a grade of nearly 16%! To make matters worse, the trail is characterized by a lack of switchbacks, which means there aren’t a lot of flat sections to rest legs and lungs as you make your ascent. About a half-mile from the summit we reached a meadow right above the tree line - just at the base of the bowl under Avalanche Peak. We noticed four hikers descending the mountain about 150 yards up the trail from where we stood. About 200 yards above them, I saw what I assumed to be another hiker, dressed in brown from head-to-toe, cross over the trail. It took me a second or two to realize that what I was actually looking at was an adult grizzly bear moving towards the east. I yelled a warning to the four hikers between us and the bear. The bear also heard me and looked a little startled as he stopped to check us out. The summit of Avalanche Peak is in the far right corner of picture. That small dark spot right in the middle of the picture, just above the copse of trees, is the grizzly bear. At this point we were a little undecided as to what to do next. Do we turn around and head back down the mountain, or do we move up the trail to join the company of the other hikers for more safety? As we stood there mulling over our options, the bear suddenly became visibly agitated with my wife and I. Abruptly, he crouched down on his front legs and faced directly towards us. There was no misunderstanding his body language or the menacing glare he gave us; he wanted us off HIS mountain! Not to offend him further, we calmly started to back away. Fortunately, so did the bear. Just as quickly as he faced us down, did he turn away and continue his eastward procession towards a grove of scrub pines. The bear was obviously more interested in stuffing his belly with pine seeds rather than a couple of hikers. Feeling a little bolder, we walked up the trail to join the other hikers while we watched the bear indulge in a favored delicacy. After watching for several minutes, the two park employees we met earlier finally joined us. As we all stood there, the bear finally wandered over to the other side of the mountain. We now had another important decision to make: do we take the safe route down the mountain with the group of four, or do we go ahead and summit the mountain with our park employee companions. Our high altitude conference concluded that if all four of us stayed together it would be relatively safe to continue on. Our decision to move forward proved to be an excellent one. With our periodic clapping and yelling of “hey bear”, much to our relief, we never saw the bear again. Even the weather cooperated with us. The overcast, drizzly conditions we experienced on the lower part of the mountain now gave way to billowing white clouds against the backdrop of a cobalt-blue sky. The final push to the top was a fairly easy scramble along the rocky ridgeline of Avalanche Peak. At the summit we were rewarded with an incredibly spectacular view of Yellowstone Lake to the west, the Absaroka Range to the north and east, and the Grand Tetons in the far off distance towards the south. I’ve made several trips out west over the years and have had the opportunity to hike in some of the best parks and wilderness areas in Colorado, Utah, Montana and Wyoming. Not only was our trek up Avalanche Peak the highlight of our Yellowstone trip, but was undoubtedly one the most memorable hikes I’ve ever had. The combination of stunning scenery and the chance encounter with a grizzly bear made this a wilderness experience of a lifetime. Another closing hikers should be aware of this time of year is with regards to the Mt. LeConte Lodge. Although overnight accomodations at the lodge have been booked full for the season for some time, day hikers can still enjoy the opportunity to purchase a sit-down lunch, or a sack lunch to go, at the top of the mountain. However, the lodge will close for the season after November 24, at which time those services will end until next spring. For more information on hiking to the summit of Mt. LeConte, please click here. Amazon.com is offering customers a chance to win a trip to Yellowstone National Park. In addition to the trip, the winner will also be awarded a Canon Photography equipment package, as well as a private lesson with Adam Jones, a leading photographer and instructor in Canon's "Explorers of Light" program. The approximate retail value of the Grand Prize is $18,600. The prize is part of the 10th anniversary of the Amazon Wish List sweepstakes. Each week during the holiday season customers will have a chance to enter one of the themed Wish List sweepstakes. To enter the sweepstakes for the Yellowstone National Park prize, you must enter before November 15. Park officials are advising hikers, cyclists, and horseback riders to be on the lookout for construction vehicles on a 9-mile unopened portion of the Foothills Parkway beginning this Thursday, November 12th. Although seldom used by motorized vehicles, the stretch of gravel road east of Walland, TN is popular with outdoorsmen. Construction work will go on Monday through Friday for six weeks ending December 22, while a Park contractor does some core drilling at the far eastern end of the roadway. Next weekend the Blue Ridge Parkway will kick off its 75th anniversary celebrations with several historical and symbolic events. The official anniversary, however, is actually next year. The highlight of the weekend will be the Ceremonial Torch Passing on Friday, Nov. 13, on the Blue Ridge Parkway outside Cherokee. A torch will be passed from the Great Smoky Mountains National Park, which celebrated its 75th anniversary this year, to the Parkway. Both park superintendents and Eastern Band of the Cherokees’ tribal leaders will deliver remarks. The ceremony will be held at 10 a.m.
* A program called “Natural Resource Stewardship – An American Indian Legacy and Model for Our Future” will be held at 6 p.m. Thursday, Nov. 12, at the Cherokee High School. Talks will be given by Gerard Baker, superintendent of Mount Rushmore National Memorial who was featured in Ken Burns recent national parks documentary, along with former and present superintendents of the Parkway, Dan Brown and Phil Francis. * Guided history tours in partnership with the Museum of the Cherokee Indian will be given by Cherokee storytellers at noon on Friday, Nov. 13, with several stops along the southern portion of the Parkway. Cost is $20 per person and includes a boxed lunch. 828.497.3481. * Parkway History Day will be held on Saturday, Nov. 14, at the Folk Art Center on the Parkway outside Asheville. * A benefit concert featuring Nanci Griffith will be held on Saturday, Nov. 14, at 7 p.m. in Asheville. There will be a performance of the one-time-only collaboration of The Blue Ridge Bluegrass All-Stars showing their support for the Parkway, including renowned musicians: Doyle Lawson, Sammy Shelor, Bryan Sutton, Tim Surrett, and Jim Van Cleve. The Cherokee Warriors of AniKituhwa will also perform, and the entire evening will be hosted by Asheville’s own Grammy award-winning musician David Holt. 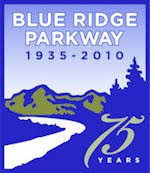 You can find more information on each of these event at the Blue Ridge Parkway 75th Anniversary website. Need a cabin during your next visit to the Smokies? Check out the cabin and chalet listings on HikingintheSmokys.com. The number of listings on our site continues to grow. You can find overnight lodging in Townsend, Gatlinburg, Pigeon Forge, as well as on the North Carolina side of the Smokies. Why are there handprints on the ceiling of the Primitive Baptist Church in Cades Cove? Why are there handprints on the ceiling of the Primitive Baptist Church in Cades Cove within the Great Smoky Mountains National Park? Smoky Mountain Cabin Rentals Check out our cabin and chalet listings in the Smokies! "The Department of the Interior is honored to offer this fee free day to thank our nation’s service men and women,” said Salazar said “The sacrifices and achievements of the brave men and women of our armed forces can never be understated. We invite all of our visitors to enjoy this fee free day and take time out on this national holiday to remember our service men and women who are currently serving overseas in harm's way." * World War II Memorial, Washington, DC – 8 a.m. color guard from the Military District of Washington, special speakers, wreath-laying, and taps. Contact: Friends of the National World War II Memorial, (202) 747-4258. * Vietnam Veterans Memorial, Washington, DC – 1 p.m. annual Veterans Day Observance at the Wall. Contact: Vietnam Veterans Memorial Fund at (202) 393-0090. * Valley Forge National Historical Park, Pennsylvania – 10:30 a.m. wreath laying at the National Memorial Arch with the Friends of Valley Forge Park and the Korea DMZ Veterans Association. Contact: Ann Marie Maher at (610) 783-1006 or maher@valleyforge.org. * General Grant National Memorial, New York – 9 a.m. – 5 p.m. living history displays and demonstrations of the evolution of the American Army during the 19th century. Contact: Mindi Rambo at (212) 668-2208 or mindi_rambo@nps.gov. Click here for a full list of National Parks that preserve and commemorate battlefields or related themes. On Tuesday, November 10, the Roundbottom/Straight Fork Road will be closed for the season. The gravel road is accessed from the paved Big Cove Road, located near Oconaluftee in North Carolina. Trails impacted by this closing include the Hyatt Ridge, Enloe Creek and Beech Gap Trails. The following Monday, November 16, Rich Mountain Road and Parson Branch Road will also close for the season. Both roads are one-way gravel roads, and are both accessed via the Cades Cove Loop Road. You should also be aware that the Cades Cove Campground Store will be closed on November 5 as well. However, vending machines will remain in service throughout the winter. As part of it's America's Wild Spaces series, the National Geographic Channel's next episode will be about the Appalachian Trail. “America’s Wildest Places: The Appalachian Trail” features never before seen aerial footage and an in-depth look at America’s first National Scenic Trail. National Geographic traveled from South to North, explored the remotest corners of the AT, and met the scientists fighting to keep this wilderness wild. The film will explore this 5 million step journey through the five distinct regions of the AT landscape, and learn what it takes to keep this ribbon of green safe, healthy, and totally wild. The program will be aired next Tuesday, November 10, at 8 p.m., and 11 p.m., EST. You can see a preview by clicking here. You can also read more about the making of the film by clicking on this Appalachian Trail Conservancy article (PDF). Don't know if any of you have heard about this or not, but a new Appalachian Trail Museum will be opening next year, on National Trails Day, June 5, 2010. It will be located in a 200-year-old grist mill at Pine Grove Furnace State Park in Pennsylvania, roughly the mid-point along the 2175-mile, Maine-to-Georgia trail. One of the really cool things about the new museum is that thru-hikers will become living history "interpreters". The museum will feature a "hikers' center," a lounge area of sorts, designed to promote interaction between visitors and hikers who stop in for breaks as they pass through the park. The museum will also feature a hikers shelter built by Earl Shaffer, the first person to walk the entire trail in one season in 1948. The shelter, which stood atop Peters Mountain in Dauphin County, was painstakingly dismantled in order to to preserve it for the museum. The museum will also have plenty of standard museum fare: artifacts and archives of Appalachian Trail records and photos. Other attractions will include a children's discovery area, where kids can play with camping equipment. There will also be a video wall that will display the Appalachian Trail Conservancy's archive of more than 12,000 photographs of hikers taken as they passed through the trail's headquarters in Harpers Ferry, W.Va. Those photos will also will be available on the museum website. Speaking of the website, it looks like you'll be able to spend many days surfing the site once it's complete. The site is in the process of collecting the best short stories from the trail. The site has categorized the stories into areas of interest such as; origins of trail names, shelter life, unexplained happenings, trail magic, weather stories, ranger encounters and many others. To build an Appalachian Trail historical timeline, the site is also in the process of assembling trail journals that are categorized by year going back to 1927. 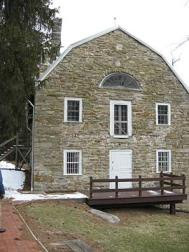 The grist mill building, which is just a few steps off the trail, is within two miles of the Appalachian Trail's midpoint. The building is next to the Pine Grove General Store, home of the Half Gallon Club, a favorite stop for long-distance hikers where they try to eat an entire half gallon of ice cream in a single sitting. You can visit the museum's website by clicking here.